In Germany at present , the rate of Jewish intermarriage is approximately one sixth of pure (rein) Jewish marriages. This number is so large that one would be forced to derive from it a total and imminent dissolution of German Jewry. A genuine intermixture, however, has only really taken place when the offspring of this intermarriage then introduce this foreign blood into the Jewish Volk. 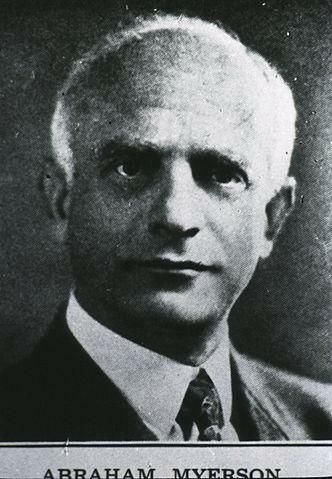 Now the fact of the matter is that the overwhelming majority of these offspring of mixed marriages (Mischlinge) withdraw from Jewry both religiously and nationally, shutting themselves off thereby from any union through marriage with the Jewish nation (Stamme der Juden); thus, they remove themselves from the equation, for the most part, when it comes to [our analysis of] racial mixture. The Jewish human material (Menschenmaterial) that we are analyzing from an anthropological viewpoint and that is the foundation of the Jewish race in the progressive movement of history will consequently have altered very little and remains a homogeneous mass; they [the Jews] seldom lose elements to another people through dissolution. 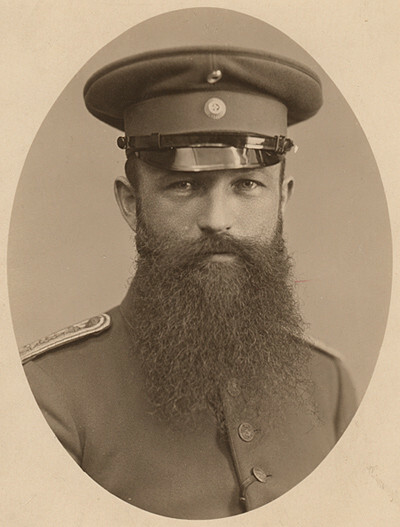 A careful and scrupulous authority on this issue, the statistician Arthur Ruppin, estimates the number of offspring of mixed marriages who remain within Jewry to be only 10 percent of all offspring produced by the mixture of Jews and non-Jews in Germany. As to actual mixing of blood, we would thus have to figure that at only 1/60 of the racial stock of German Jews. However, even this small, though nevertheless not infinitesimal, number is valid only for Germany and for a few other countries, in which altogether a very small percentage of the Jewish people (Stamm) live. Are the Jews economically and culturally harmful, insignificant, or useful to the countries in which they reside? In response to the de-racializing anti-White ideologies which currently hold White people in a racial death grip, we need to find new ways to invoke “blood logic” as a way of defining and maintaining White group identity. Recent population genetic and human biodiversity studies have good potential, properly used, to rekindle the racial feeling of our people and thereby foster White ethnocentrism and group cohesion. If White Nationalism is to ultimately succeed in any meaningful way, we must reclaim the elevated racial self-conception and pride that was normative for White people in the late nineteenth and early twentieth centuries. Of course, breaking the Judeo-Marxist media monopoly will be an essential prerequisite to this achievement. Auerbach, E. (1907) ‘The Jewish Racial Question,’ In: Jews and Race: Writings on Identity and Difference 1880-1940, Ed. Mitchell B. Hart, Brandeis University Press, Waltham, Massachusetts. 207-218. Fishberg, M. (1911) ‘Assimilation versus Zionism: Except from Jews, Race and Environment,’ In: Jews and Race: Writings on Identity and Difference 1880-1940, Ed. Mitchell B. Hart, Brandeis University Press, Waltham, Massachusetts. 297-302. 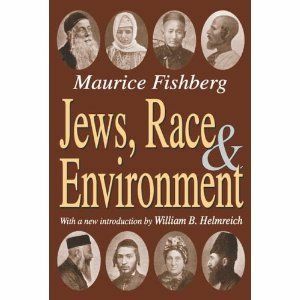 Fishberg, M. (1911) ‘Preface from Jews, Race and Environment,’ In: Jews and Race: Writings on Identity and Difference 1880-1940, Ed. Mitchell B. Hart, Brandeis University Press, Waltham, Massachusetts. 60-64. Fishberg, M. (1913) ‘Intermarriage between Jews and Christians,’ In: Jews and Race: Writings on Identity and Difference 1880-1940, Ed. Mitchell B. Hart, Brandeis University Press, Waltham, Massachusetts. 237-241. Meyerson, A. (1920) ‘The “Nervousness” of the Jew,’ In: Jews and Race: Writings on Identity and Difference 1880-1940, Ed. Mitchell B. Hart, Brandeis University Press, Waltham, Massachusetts. 175-183. Nossig, A. (1905) ‘The Chosenness of the Jews in the Light of Biology,’ In: Jews and Race: Writings on Identity and Difference 1880-1940, Ed. Mitchell B. Hart, Brandeis University Press, Waltham, Massachusetts. 259-267. Ruppin, A. (1913) ‘Successes of the Jews in Capitalistic Enterprise,’ In: Jews and Race: Writings on Identity and Difference 1880-1940, Ed. Mitchell B. Hart, Brandeis University Press, Waltham, Massachusetts. pp. 201-204. Unsigned editorial from Die Welt (1912) ‘On the Jewish Racial Question,’ In: Jews and Race: Writings on Identity and Difference 1880-1940, Ed. Mitchell B. Hart, Brandeis University Press, Waltham, Massachusetts. 306-310. Unsigned editorial from Die Welt (1912) ‘The Racial Identity of the Jews,’ In: Jews and Race: Writings on Identity and Difference 1880-1940, Ed. Mitchell B. Hart, Brandeis University Press, Waltham, Massachusetts. 303-306. Zollschan, I. (1909) ‘Foreword and Introduction from The Racial Problem, with Particular Attention Paid to the Theoretical Foundations of the Jewish Racial Question,’ In: Jews and Race: Writings on Identity and Difference 1880-1940, Ed. Mitchell B. Hart, Brandeis University Press, Waltham, Massachusetts. 255-285. Zollschan, I. (1914) ‘The Significance of the Mixed Marriage,’ In: Jews and Race: Writings on Identity and Difference 1880-1940, Ed. Mitchell B. Hart, Brandeis University Press, Waltham, Massachusetts. 226-237.